Across the various fields, discourse communities, and paradigms studying virtual worlds, there are disagreements about the object of their studies. The nature of what virtual worlds are, and how to study them, are in flux. For some, this flux has benefits. However, the flux is potentially a problem for the study of virtual worlds from the audience and reception studies paradigm. Without knowing what can be labelled as a “virtual world,” it is hard to study how people engage with a virtual world and to discuss what is found as ecologically valid. This chapter argues for research studies focusing on how people make sense of virtual worlds when they engage with them, and to compare these situated sense-making processes amongst “virtual worlds technologies” as well as other types of media products. By mapping out and comparing such engagings, we may have a better understanding about what constitutes a virtual world. As a new computer-based technology, a new communication medium, a new entertaining pastime, a new instructional tool, and a new venue for self-expression, virtual worlds have become the “object of interest” for a variety of academic fields and public discussion. The introduction of any new media technology, content, or genre often causes the same pattern of questions, problems and approaches from academics and the public (Golub, 2010; Manovich, 2003; Marvin, 1988). The introduction tends to be met with questions over what is the new technology, how does it impact people, how are people using it, and how can it be beneficially integrated into society and culture. By positioning virtual worlds as a new media technology, I am consciously highlighting how virtual worlds have been undergoing a similar period of answering these questions. As with media innovations before it, this is a period of flux for virtual worlds technologies. This period is seen in the disagreements that exist regarding the conceptualization of the technologies, contents, and users of these media products. Being in a period of flux has both advantages and disadvantages. On the advantages side, those who are innovating virtual worlds have latitude in what they should do to have their final media product be considered as aligned with the terrain of products known as virtual worlds technologies. On the disadvantages side, those who are studying how and why people engage with virtual worlds, and the impact doing so can have, find themselves perhaps troubling over how to study such objects. This chapter approaches the study of virtual worlds from the audience and reception studies paradigm, which would consider the flux a disadvantage with the potential to be advantageous. My proposal for handling this flux is the propagation of methods that centralize the comparison of media engagings through situated sense-making processes. My assumption is that comparisons will provide fuller understandings of what is unique about engaging with virtual worlds, thereby helping us to better conceptualize virtual worlds. 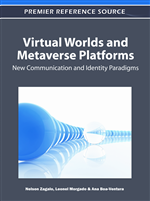 Empirical work on mapping the similarities and differences amongst virtual worlds, and between virtual worlds and other media products, may help handle the flux by providing bottom-up, empirically based definitions and typologies. We often know what something is by knowing what it is not. If we want to know what a virtual world is, especially to those who engage with them, then we should know what they consider a virtual world is and is not. We should study virtual worlds as one medium among others in people’s media landscapes by comparing these engagings with other media products (Dovey & Lister, 2009; Hermes, 2009). By mapping out people's engagings with a variety of media products, we can understand the convergences and divergences amongst various virtual world technologies and between virtual worlds and other media technologies. In order to map out this terrain of reception, we should utilize an interpretivist perspective to understand how people make sense of their engagings with media products (Dervin & Foreman-Wernet, 2003). First, I review the flux and disagreements of conceptualizing this new media technology. Second, I review the types of comparison studies that have already been done and discuss where they lack a) comparisons to other media products and b) an interpretive perspective on engaging with media products. Third, I propose the need for methods for studying comparisons that understand situations of media engagings as complex, situated sense-making processes. Fourth, I discuss different types of methods that could be useful in this endeavor, with examples of work my colleagues and I have done to this end at the Virtual Worlds Research Project at Roskilde University (http://worlds.ruc.dk).